The tasty label POMELO introduces a new underground Detroit-based producer named KEMETRIX aka SOULWERK. 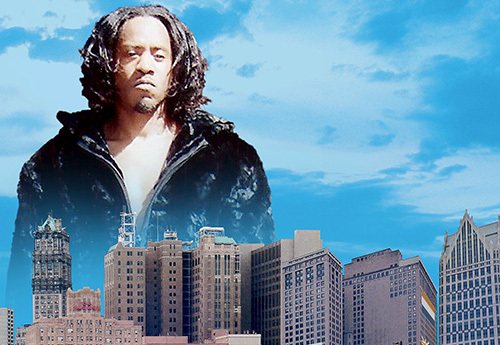 Close and affiliated to MOODYMAN & STINGRAY, KEMETRIX mixes smartly the two main musical styles of DETROIT : the hot Soul music & the weird Hi-Tech music. His great 6-track EP entitled “Soulbrother #3 ” is actually his first project announcing a promising series. His sweet voice barely touching the omnipresent futuristic-sounds is a surprising hybrid jam, really up-to-date. For the connoisseurs, the KEMETRIX’ productions should remind some new musical fields recently explored by his homies on the URBAN TRIBE’s Selftitled Album (2010). KEMETRIX is for sure a new type of artist to follow. Nice pick again from POMELO Records that continues to promote the music in advance of its time. Recommended!